Birds migrate south for the winter--why shouldn't farm animals? 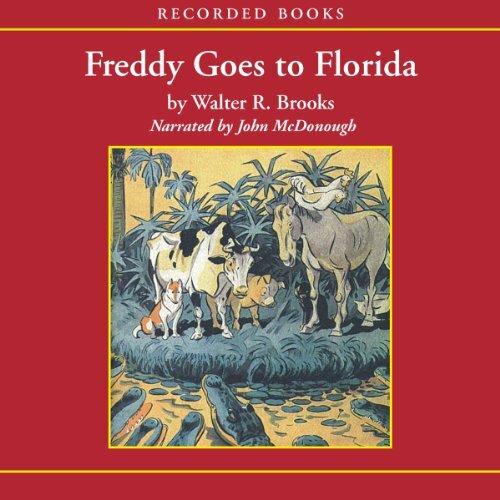 In Walter R. Brooks's Freddy Goes to Florida, that's precisely what the thoughtful beasts of Mr. Bean's upstate New York farm decide to do. Not wanting to leave the imperfect yet kindhearted farm owner in the lurch, they draw straws to select the lucky travelers. A robin draws them a map that shows them how to get to Florida, and they're off! The parade of animals--Jinx the cat, Freddy the pig, Robert the dog, Hank and Mrs. Wiggins the cows, Mr. and Mrs. Webb the spiders, two ducks named Alice, and four mice--causes quite a stir on the cross-country trek. In Washington, D.C., they even meet the president, who "shook them each by the claw or a paw or a hoof." 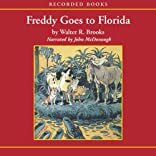 After a series of humorous and suspenseful near misses, including a battle of wits with some Florida alligators, they end up safely back home, where Freddy poetically concludes, "And however they wander, both pigs and men / Are always glad to get home again." Brooks is hilariously tongue-in-cheek; his insightful descriptions of animal characters are always compassionate; and his subtle appeal to a child's instinct for justice is no less than masterful. As Adam Hochschild of the New York Times Book Review writes, "The moral center of my childhood universe, the place where good and evil, friendship and treachery, honesty and humbug were defined most clearly, was not church, not school, and not the Boy Scouts. It was the Bean Farm."